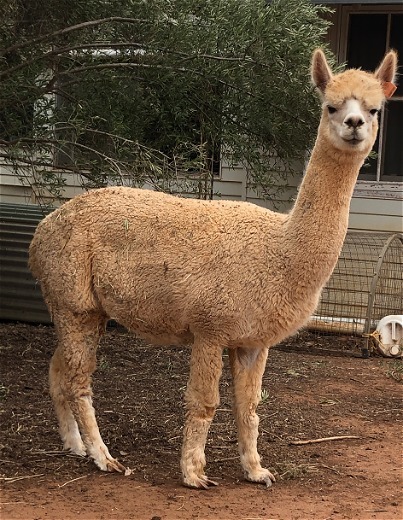 This female is bred in the purple with some of the 'whose who' of the Australian Alpaca community in her background. Pearl Dragon has consistently produced fine fleeced cria. She has excellent conformation and a fine bundling organised fleece. This lass and her genetics is well worth a look.